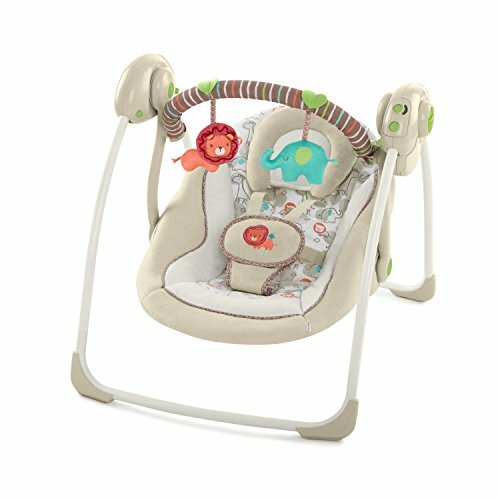 This comfort swing gives your baby a front row seat to your busy day. Made for moms and dads and babies alike, the Ingenuity swing keeps baby safe and secure when you need a second set of hands. The plush fabrics cradle baby in a snug embrace, while gentle music keeps a calm environment. Six speed options with TrueSpeed technology ensure sure your baby’s favorite swing speed stays consistent, even as he grows. The swing seat reclines for ultimate comfort. It’s tough to say who loves this swing more – parents or babies. Luckily for everyone, with its foldable and portable swing design, you can take this must-have almost anywhere you go. Age range - 0 to 6 months.